The Vienna Philharmonic plays Mozart and Bruckner. Photo by Nikolaus Similache.© 2012 The Cleveland Orchestra. 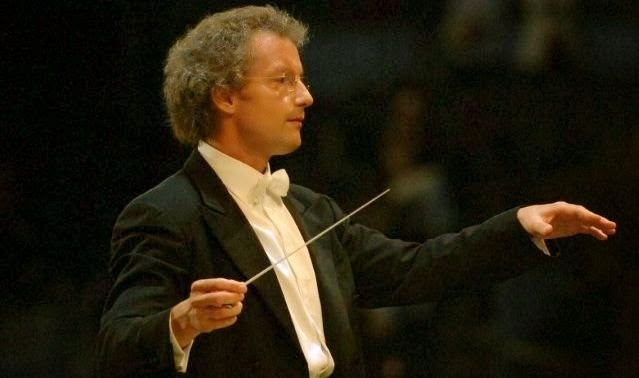 For the second concert of the Vienna: City of Dreams Festival, the Vienna Philharmonic and conductor Franz Welser-Möst chose a program squarely in the comfort zone of this storied orchestra. Symphonies by Mozart (No. 28) and Bruckner (No. 6) framed the first Carnegie Hall performance of a Johannes Maria Staud's On Comparative Meteorology. This was an ambitious program for Mr. Welser-Möst, as the symphonies chosen are rarely played in concert. The Vienna Philharmonic opens Vienna: City of Dreams. Franz Welser-Möst. Photo by Terry Linke © 2010 The Vienna Philharmonic. Beethoven's Ninth Symphony is a cornerstone of the concert repertory, a natural choice for the Vienna Philharmonic to open Carnegie Hall's Vienna: City of Dreams festival. On Tuesday night, the orchestra arrived in New York to begin their much-anticipated six-performance residency with a performance of the Ninth under Austrian conductor (and favorite son) Franz Welser-Möst. Carnegie Hall opens Vienna: City of Dreams. Vienna: City of Dreams, this year's music festival at the famous venue. Photo manipulation by Paul J. Pelkonen. This week marks the opening of Vienna: City of Dreams, a three-week Carnegie Hall festival focusing on the artistic and musical legacy of the capital of Austria. In addition to six concerts by the Vienna Philharmonic (two of them featuring performers from the Vienna State Opera) the series includes lectures, films and an exploration of an age before World Wars, when Vienna was the crossroads and cultural capital of central Europe. The 1998 Lohengrin from the Metropolitan Opera. On the wing: Ben Heppner' makes his entrance in Act I of Lohengrin. Photo by Marty Sohl © 1998 The Metropolitan Opera. Photo by Philippe Jasmin © L'Orchestre Métropolitain. On Friday night, the Philadelphia Orchestra returned to Carnegie Hall for the second time this month. For this concert, they brought an ambitious old-school program of Richard Strauss, Shostakovich and Beethoven. This old-school offering allowed ample opportunity to display the conducting skills of Yannick Nézet-Séguin, the music director who is rapidly putting his own stamp on this venerable orchestra. Clocking in at two-and-a-half hours, it was a rich, satisfying meal. Jonas Kaufmann enthralls Carnegie Hall in his recital debut. 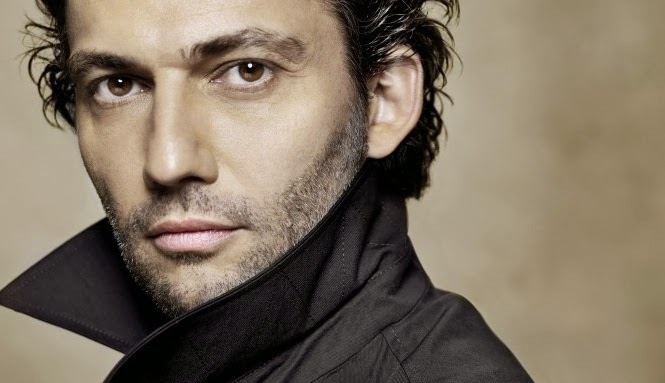 Take him to your Lieder: Jonas Kaufmann. Photo © 2013 Sony Classical. The German tenor Jonas Kaufmann is among the most popular artists currently appearing at the Metropolitan Opera. His potent, versatile voice and dark good looks appeal in roles like Don José, Parsifal and Werther. For Thursday night's concert, the singer's recital debut at Carnegie Hall, Mr. Kaufmann turned his attention to lieder, offering a carefully curated program that instructed as it enthralled. the Carnegie Hall Perspectives artists for 2014-15. The annual schedule of concerts and performances put forth by the Carnegie Hall Corporation is always ambitious. Next season sees the culmination of an ambitious renovaton to the famed music venue, with the opening of new education rooms, party space and a grassy roof deck. Onstage, promises to be a feast of multiculturalism, with UBUNTU! a lengthy festival devoted to the music and culture of South Africa, not one but two artists offering Perspectives series, and the appointment of Meredith Monk as next year's Composer In Residence. With the enormous slate of programs on offer, Superconductor looks over the slate of concert and opera performances that you shouldn't miss next year at Carnegie Hall. as the Met opens Richard Eyre's new production of the Massenet opera. It's time to go back to the Island as the Met revives its baroque pastiche. in a scene from Act I of The Enchanted Island. "Pastiche, the art of pasting together songs by different composers to make a new, playable work of art, has a long history, from the Shakesperean masques of Henry Purcell to Baz Luhrmann's film Moulin Rouge!. 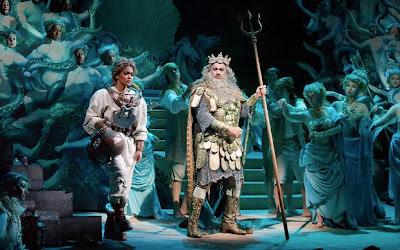 By combining Shakespeare's The Tempest with characters from A Midsummer Night's Dream, Mr. Sams and Mr. Gelb (working with baroque conductor William Christie) created a sampler platter of the genre. The St. Petersburg Philharmonic Orchestra at Carnegie Hall. Yuri Temirkanov. Image © Medici.TV. The Russian city of St. Petersburg is invariably associated with Mariinsky Orchestra and its mercurial leader Valery Gergiev. However, the St. Petersburg Philharmonic Orchestra is an even older organization (founded in 1882) with its own rich history and distinctive Russian sound. 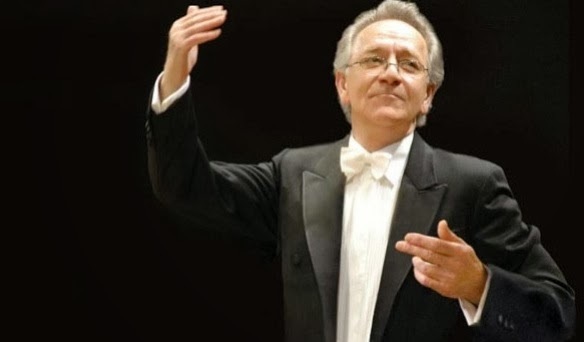 Last Thursday night, this splendid ensemble returned to Carnegie Hall for the first of two concerts under the baton of music director Yuri Temirkanov. 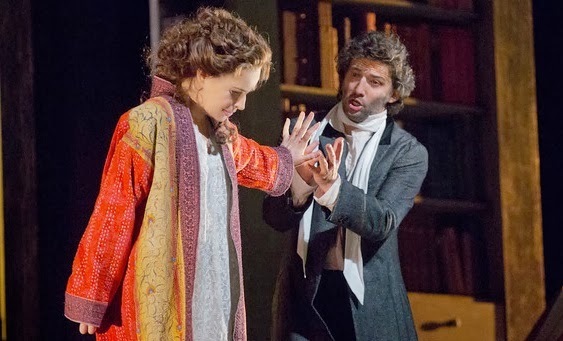 Jonas Kaufmann shows his sensitive side as Massenet's suicidal poet. 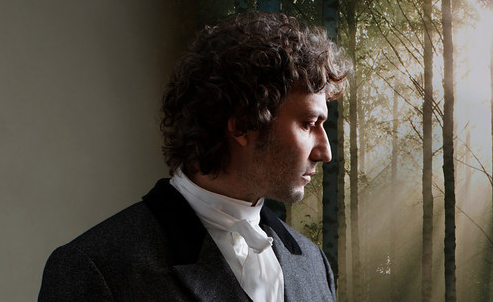 Jonas Kaufmann profiles as Massenet's Werther. Photo by Brigitte Lacombe © 2013 The Metropolitan Opera. This new Metropolitan Opera production of Jules Massenet's Werther continues the company's fascination with this French composer, following recent new stagings of Thaïs and Manon. Massenet was an elegant craftsman whose gift for catchy melodies and lyric arias made him fall out of fashion a century ago. Bernard Haitink and the BSO play Carnegie Hall. 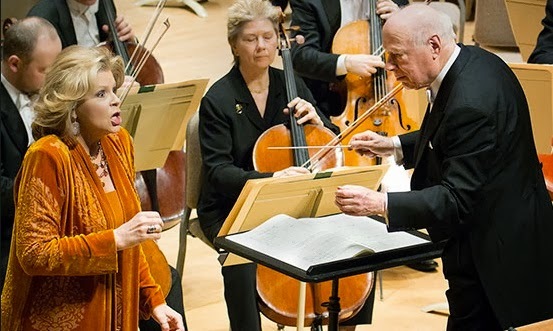 Susan Graham (left) and Bernard Haitink perform Ravel's Shéhérezade last week at Symphony Hall. Photo by Stu Rosner © 2014 Boston Symphony Orchestra. For the second of their two concerts this week at Carnegie Hall, Bernard Haitink and the Boston Symphony Orchestra chose to devote an evening to the music of Maurice Ravel. This Swiss-born composer is known for precise musical construction and delicate orchestration--with a small but memorable output of works that can have the character of a complicated time-piece. However, this superb pairing of orchestra and conductor found emotional depth in these pieces, achieved through a high standard of performance. Superconductor gives a first look at next season. 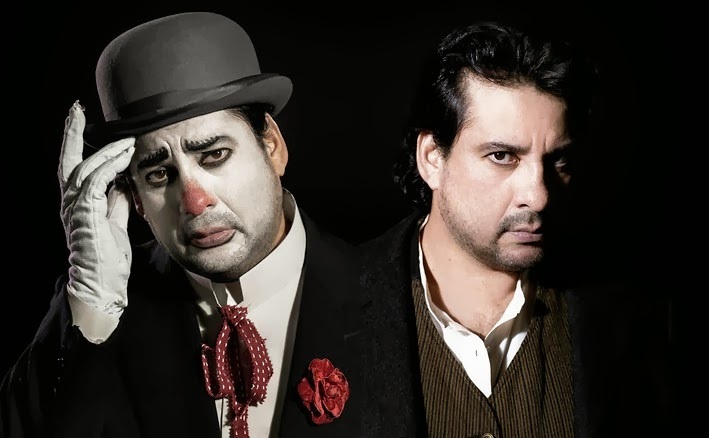 Cavalleria Rusticana/Pagliacci (and five more new productions) for next season. Photo by Anne Deniau © 2014 The Metropolitan Opera. The Metropolitan Opera's 2014-15 season was announced today at 6pm. Recent seasons have been conservative (2012-13 with its abundance of Verdi and Wagner) or experimental (2013-14 with the return of Russian and Czech opera and a new work by Nico Muhly). 2014-15 looks to fall between two stools, presenting modern works by John Adams, Igor Stravinsky and Dmitri Shostakovich against a slew of Verdi operas and traditional repertory favorites. The Boston Symphony Orchestra returns to Carnegie Hall. Photo by Chris Christodoulu © 2013 London Symphony Orchestra. The repertory of any major symphony orchestra spans centuries, with composers influencing each other's work over a vast ocean of time. On Tuesday night, the Boston Symphony Orchestra offered a program that built bridges over that ocean, from the 19th century to the baroque era and from the England of the 17th century up to our own era. 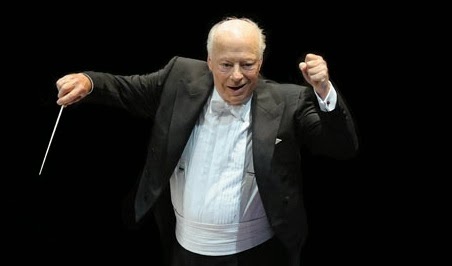 This was the first of two concerts this week under the baton of Bernard Haitink. The 85-year-old Dutch conductor is now in his sixth decade of conducting, and second decade of his long association with the BSO. 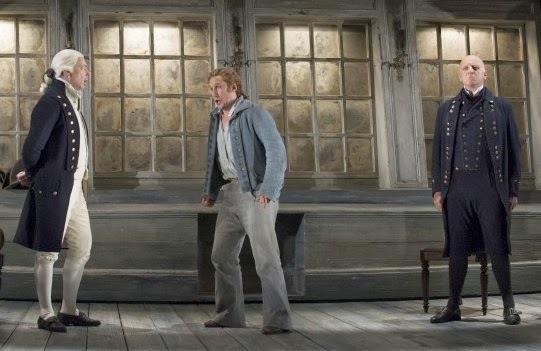 Glyndebourne's Billy Budd sails to BAM. in Act II of Billy Budd. Photo by Richard Hubert Smith © 2013 The Glyndebourne Festival. Benjamin Britten's 1951 opera Billy Budd is one of the composer's most powerful, and challenging creations. Based on the novella by Herman Melville and set to a libretto by E.M. Forster and Eric Crozier, a performance requires a top-flight orchestra, crack choral singing and a compelling set of leads to bring Herman Melville's novella of life in the British Royal Navy in 1799 to vivid life. Finally, the naval action must look and feel convincing, or the production will simply sink. The Metropolitan Opera unveils Dmitri Tcherniakov's Prince Igor. 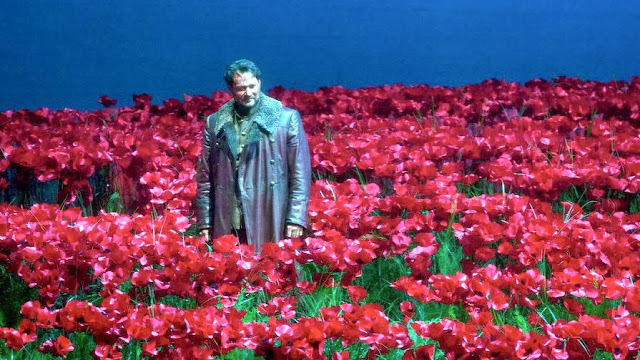 Ildar Abdrazakov wanders through the poppies in the title role of Prince Igor. At the Metropolitan Opera, the 2013-14 season has been one of fearless experimentation. The traditional favorites by Wagner and Verdi have been pushed aside for the welcome return of Russian opera to the big New York stage. 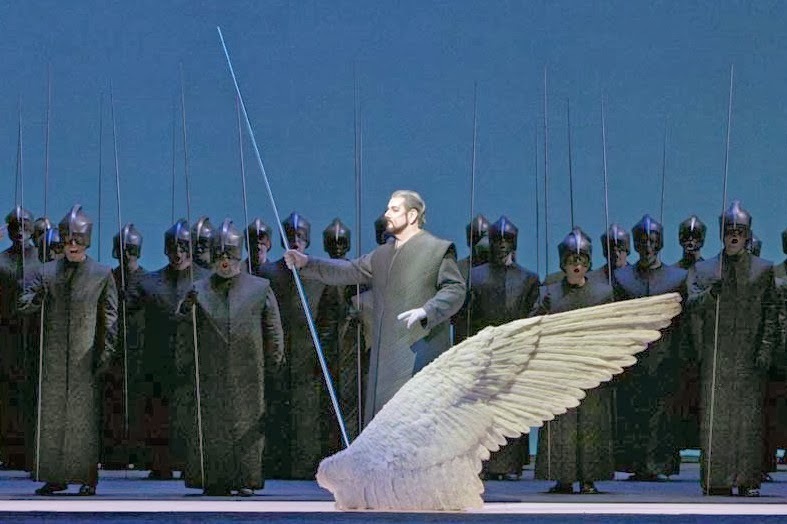 The latest of those experiments, and one of this season's most eagerly anticipated new productions was unveiled on Thursday night: Alexander Borodin's problematic opera Prince Igor. This new staging by Dmitri Tcherniakov marks the first Met performance of the score since 1917, and the first to be sung in Russian. Although traditional in some respects, the director chose to make this unfinished, pageant-like opera a commentary on the foolishness of militarism and its horrific aftermath. 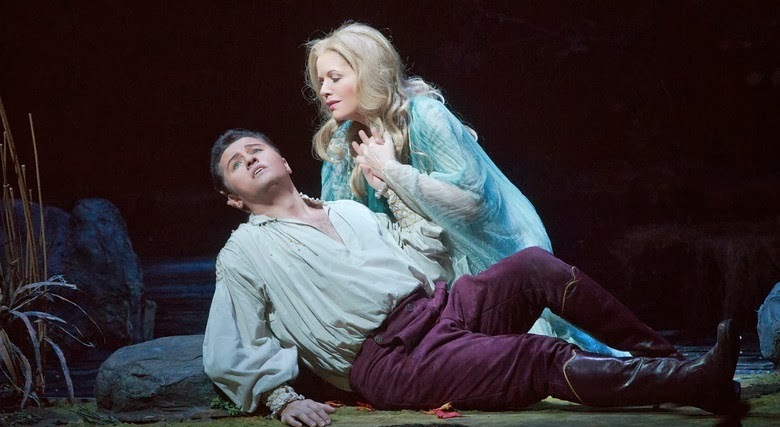 Renée Fleming returns as Rusalka. in Act III of Rusalka at the Metropolitan Opera. The title role of Rusalka, Antonín Dvořák's long-suffering aquatic sprite, has effectively belonged to soprano Renée Fleming for nearly two decades. From her first performances of the role at the Seattle Opera to the start of her reign in the Metropolitan Operas's handsome, elaborate staging, she has been inextricably linked with Dvořák's most successful opera. Now, with the advent of the Metropolitan Opera's Live in HD broadcasts, Ms. Fleming has plunged once more into Rusalka, with the goal of preserving her interpretation for posterity and eventual release on home video. Labor issues may disrupt 2014-15 season. 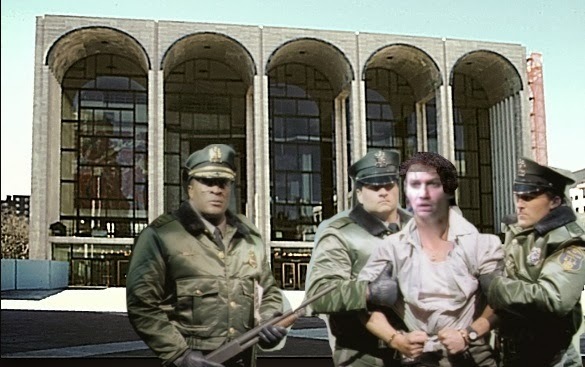 This may be the scene at Lincoln Center next year if the Metropolitan Opera locks out its artists. 2013 production of Parsifal. Image of Jonas Kaufmann © 2013 by Ken Howard. Photo alteration by the author. This is the time of year when opera lovers (and bloggers) look forward to the Metropolitan Opera's release of its upcoming schedule. With its Peter Gelb-mandated slate of six new productions and 20+ revivals building eager anticipation for the coming year, the schedule release is one of the more eagerly anticipated events of the winter season. 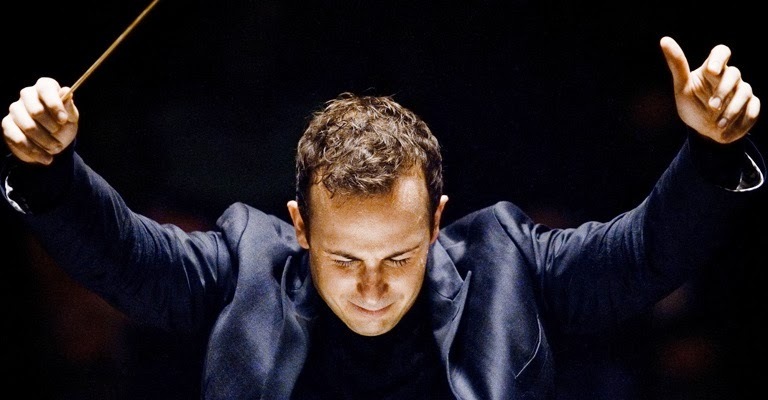 Yannick Nézet-Séguin (finally) conducts at Carnegie Hall. Yannick Nézet-Séguin. Photo by Marco Borggreve. Image © Rotterdam Philharmonic Orchestra. 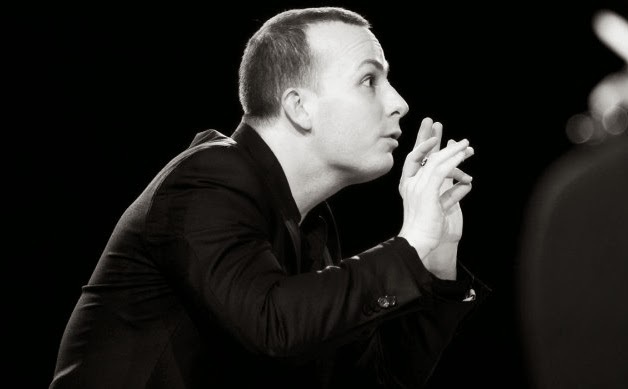 The arrival and installation of Quebec-born conductor Yannick Nézet-Séguin as music director of the Philadelphia Orchestra has been one of the most important stories in concert music this decade. This exciting young conductor has shouldered the burden of transiting this venerable organization out of bankruptcy while providing fresh energy and innovative programming to keep the lights lit on Broad Street. However, a strike by Carnegie Hall stage hands nixed this year's opening gala concert, and an illness in December forced Michael Tilson Thomas to serve as a last-minute replacement. The English Concert presents Handel's Theodora. 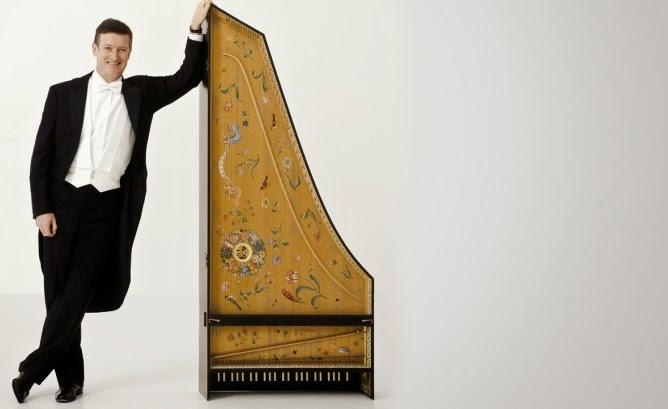 A man and his harpsichord: English Concert conductor Harry Bickett. Photo by Richard Haughton © 2013 The English Concert. Sometimes a composer's best work escapes the notice of his public. Take, for example Handel's late oratorio Theodora which bombed with the London public after just three performances. 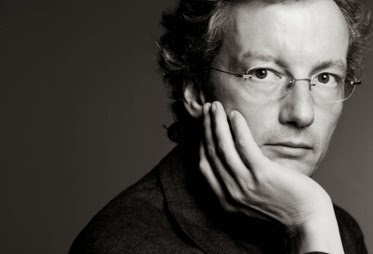 On Sunday afternoon at Carnegie Hall, Harry Bickett and the period ensemble The English Concert made a case for Theodora as one of Handel's most compelling stage works. or, yes it's time to write about Renée Fleming. Renée Fleming at the Super Bowl. Image © FOX Sports and the National Football League. So, on Super Bowl Sunday, the partner and I trekked on the subway to Carnegie Hall to see the English Concert perform Handel's Theodora.. There's a review of that performance to follow later today but first, let's talk about the Super Bowl and Renée Fleming's performance of the National Anthem. Friends of this blog and those of you who've seen me show up at Carnegie Hall in a warm Green Bay Packers jacket know that I'm not only a football fan, I'm a huge football fan. But because the Handel oratorio was four hours long we didn't make it home in time to see the start of the game. In fact, we watched the first quarter (in Spanish on Fox Deportes Español) at our local taqueria while demolishing delicious (and authentic) burritos.